It's been a passion fuelled month here at SCEC, with marine and terrestrial species habitat taking priority on the issues front..
Shark nets during Humpback season…seriously? Earlier this week a Humpback Whale became entangled in a shark net just off Noosa Main Beach. Ironically this occurred while a group of school students were out on a boat doing a research project assessing the effectiveness of shark nets. This same incident occurred in 2013 in the same location almost exactly 3 years ago to the day, yet STILL nothing has been done to stop this cruel attempt at keeping our beaches safe. Unlike NSW, Queensland DOES NOT remove its shark nets during Humpback migration season. The wild weather forecasted for the week ahead however was a good enough reason for the authorities to announce the temporary removal of the nets, leaving us with the question: Is protecting the nets themselves more of a priority than protecting the marine life that become entangled in them? So why do we want to stop the nets from going back up? Shark nets are outdated, expensive, ineffective, and unnecessary – especially with global shark populations under increased threat. Research shows that 40% of sharks caught are found on the beach side of the net- creating a false sense of safety, with sharks easily able to swim under or around the nets. Is there a non-lethal solution? YES! New technology developed in Western Australia known as theEco Shark Barrier has so far been successful at keeping Western Australia’s Coogee Beach safe for both swimmers and marine life alike. This new technology has been endorsed by marine conservation groups across the country and is currently being trialled in front of Lennox Head Surf Club in Northern NSW. Noosa would be the ideal location to trial this type of barrier, and will ensure the abundance of marine life passing through the area is left unharmed. SCEC spoke to Channel 7 this week clearly stating that we do not support shark nets or drum lines, and that we urge the Queensland government to at the very least, remove shark nets during Humpback Whale migration season. ORRCA will be holding annual marine mammal rescue training in NOOSA this Saturday to ensure the Sunshine Coast has a trained first response. The Bill amends the vegetation management framework to reinstate many of the provisions which were in the Vegetation Management Act 1999 prior to the regressive changes made by the former Government in 2013. The Environmental Defenders Office Queensland explains the report and why we need to see this important Bill passed to restore reasonable and urgent vegetation protections. The Bill is expected to be debated during the mid-August parliamentary sitting. Now is a critical time for politicians to recognise the compelling science, the need to address accelerating climate change and biodiversity loss and that these amendments will not unduly affect the many stewards of the land who produce our food and fibre by passing this bill. The draft bill essentially seeks to restore the universally accepted vegetation framework as it was in 2012. So what can you do to help in this critical time? Do you live in the Nicklin electorate? If so, you can let Peter Wellington MP, the Independent Member for Nicklin who holds the balance of power, know that you care about good environmental laws that protect our wildlife, woodlands, waterways and weather! By restricting broadscale clearing (which pretty much amounts to deforestation at the current rates!) with reasonable and realistic legislation, we can start to turn around climate change impacts like the shocking mass coral bleaching of the iconic Great Barrier Reef, curb accelerating biodiversity loss as well as looking out for farmers and primary producers. SCEC is encouraging supporters to get creative! This isn’t about the farmer versus the greenie -that’s an old, thin and convenient story! This is about uniting and realising that our food, farms, forests, fish and future go hand in hand. How can YOU help ensure these laws are restored? Take a photo of yourself holding a sign with a brief and creative message asking Mr Wellington to support the VMROLA Bill. Remember to include your name and where you live. Email them to us at coordinator@scec.org.au and we’ll add them to our collage of others who share your passion. Feel free to post them directly to Mr Wellington’s facebook page as well. Here’s some locals to inspire you! Write a letter, email or phone Mr Wellington’s office directly. You can find those details here. Need any more motivation to take these easy and effective actions? “CSIRO’s international reputation in climate science has been going down the gurgler ever since Royal Society Fellow Trevor McDougall, one of the most influential oceanographers Australia has produced, was cut in 2012 to worldwide condemnation” says author Matthew England. “The recent cuts went further.” Read more here. SCEC has just launched our Sunshine Coast Divestment Campaign! We want our politicians, of all parties and at all levels, acknowledge that they must show leadership in committing to reductions in greenhouse emissions, both in Australia and internationally. Across Australia, more than 120 institutions such as local councils, universities and churches have resolved to shift their investments out of the fossil fuel industry. SCEC is campaigning for similar ethical action to be taken by the Sunshine Coast Council, the Noosa Council and the University of the Sunshine Coast. Sign our online petition asking your local councils to join the fossil fuel divestment movement! Look up your bank and super fund on the Market Forces website and exercise your consumer dollar by divesting your money from fossil fuels! Check out this interactive mapping tool that shows you which parts of the Sunshine Coast and beyond will be affected by rising sea levels. If you live in a vulnerable location – MOVE! In an extreme weather event there will be no power, no ATM, petrol pumps, check out. Have alternative lighting and cooking facilities. Have wet weather gear, boots, tools, knives, small axe, rope, first aid kit, rucksack, cash and fuel. See Isabell Shiphard’s book on self-sufficiency. It’s time to support local business. Shop local and make your dollar work here. Don’t melt down your local business by sending your dollar overseas. It’s time to allow multi-nationals to keep their meltdown’ and reduce your greenhouse emissions. If you’ve got a climate sceptic on the loose, get them to have a browse through the latest intergovernmental report on the IPCC website – that’ll really knock them off their feet! Picture: Locals in action- SCEC President Vivien Griffin and SCEC Liaison and Advocacy Officer Narelle McCarthy at the Hinterland Finance and Sustainability Expo launching the SCEC Divestment petition. Hundreds of senior scientists from across Australia and the world, along with four leading scientific societies, have united to express alarm at Australia’s increasing rate of destruction of native vegetation. Earlier this month, over 500 scientists met in Brisbane for the Society for Conservation Biology Oceania Section meeting. Unsurprisingly, one of the hottest topics was habitat destruction. The delegates of the conference voted to support a scientists’ declaration on land clearing in Australia. Additional signatories included internationally renowned scientists, including several ALERT members, and ecologists and environmental scientists from across Australia. Habitat loss threatens most of Australia’s over 1,700 threatened species and ecological communities. The National Landcare Conference and Awards are being held in Melbourne 21-23 September 2016 and the Sunny Coast can already be proud. 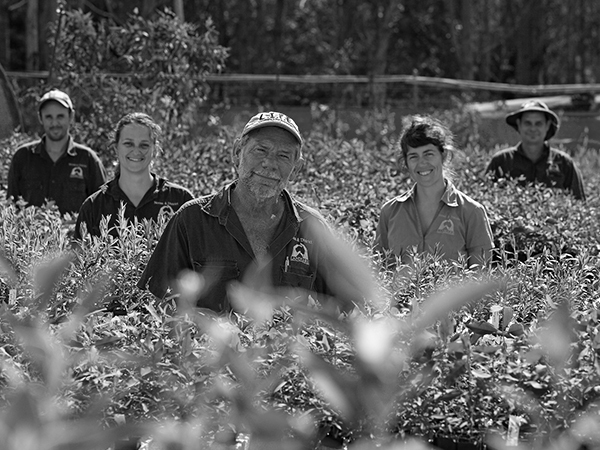 We are blessed on the Sunshine Coast to have people who care deeply for our natural environment and do incredible work day in day out to help our land, waterways and beaches. Kay Ekelman from the Burnett Mary Regional is vying for the Group Landcare Facilitator or Coordinator Award. If you want to experience this wonderful event, early bird registration to attend the conference, field trips and the prestigious Awards night closes on Friday 12 August 2016. 5 August 2016 – Barung Landcare – Little Yabba Bushcare – Revegetation and weeding along the banks of Little Yabba Creek. 8:00 – 11:00 am Morning Tea provided. More information here. 7 August 2016 – Surfrider Foundation Sunshine Coast- Sunday from 12:30 on Noosa main beach- Mermaid with a Message 1000km Ocean Paddle Finishes In Noosa. Juliana Bahr Thompson is paddling for the Surfrider Foundation and White Ribbon, raising awareness around both issues of domestic violence and ocean conservation. Its a 43 day paddle in total and Noosa is her final destination. Come help celebrate this remarkable journey and achievement. 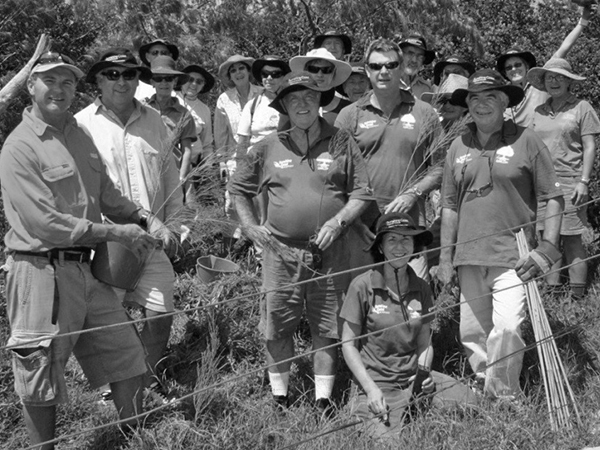 18 August 2016 – Noosa Landcare. Property Management Planning. This is your chance to find out what you can do on your own property. Come to this practical workshop where Rachel and Phil will help you tailor-make a plan that suits your needs and resources, to repair your creek line, reforest your unused pasture land and reclaim some of the soil you may be losing through erosion. 21 August to 4 September – Sunshine Coast Wildflowers Festival Explore and discover our local wildflowers on guided walks and activities.